Having watched the first two episodes, The Vulcan Hello and Battle at the Binary Stars, my opinion is largely unchanged. It’s good, but it’s not Star Trek. I don’t think it’s “86% on Rotten Tomatoes” good, but certainly worth watching. I won’t get into the awkwardness of some of the dialogue, or the redesign of the Klingons, those topics are beaten to death elsewhere on the internet, and aren’t the reasons the show doesn’t click for me anyway. It’s just too grim. That’s not to say there isn’t a place for television with a grim tone. It just doesn’t belong in Star Trek, in my opinion. I really enjoy The Expanse, which is almost certainly even more grim than Discovery, but it’s not trying to present itself as a Star Trek series. I’m going to keep watching Discovery, and I do hope the series gets better as time goes on, but for now I’m just going to pretend it’s not Star Trek. Quality of the show itself aside, CBS appears to have gone insane with regard to how they’re distributing it. If you’re in the USA you get the first episode (which is only part one of a two part story), after which it is exclusively available on CBS All Access, a premium streaming service. The hope there I guess is that it will drive new subscriptions to All Access, but from the reaction online all it seems to be driving is consumer resentment. To make matters worse it airs like any other TV series in Canada on Space. No streaming subscription necessary. To make it even worse again if you’re in Europe the series is on Netflix, which some might consider to be ideal. I certainly don’t know any Americans who can say they’re happy with this arrangement. To top it all off, lurking off to the side in a parallel fictional reality is The Orville, Seth MacFarlane’s new science fiction series. 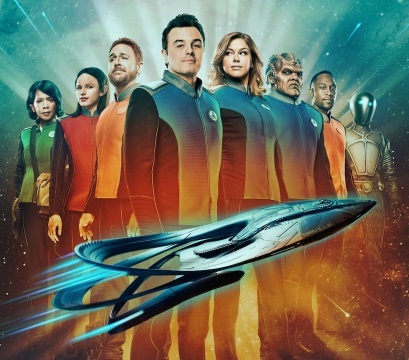 Viewed initially with disdain by many who don’t like MacFarlane’s brand of comedy, it’s shaping up to actually be a reasonable offering for those who miss Star Trek the way it was back in the TOS and TNG days. The comedy present in the show isn’t overbearing, and doesn’t dominate the tone, as many people expected it to. The most recent episode, If the Stars Should Appear, was remarkably serious in tone from start to finish, with only a few comedic beats scattered sparsely throughout. 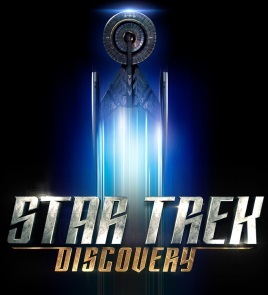 In my opinion it has several advantages over Discovery in that it’s broadcast as a normal television program, so you don’t need to jump through any weird streaming service hoops to watch it, and actually feels like a classic Star Trek series a lot of the time. It certainly doesn’t deserve its current completely inexplicable 20% rating on Rotten Tomatoes. As it stands, I’m going to continue watching both Discovery and The Orville, and hope both of them eventually live up to the expectations people have for them.